FX's buzzy new miniseries Fosse/Verdon tells the story of one of the most famous pairs in showbiz history: choreographer and director Bob Fosse and his wife, dancer and choreographer Gwen Verdon. While it's Fosse's work that has been held up as the groundbreaking gold standard of modern Broadway dance, Verdon was iconic in her own right. Verdon was a dancer from the age of 6, but her breakout performance came in 1953, when she turned a featured dancing role in the Cole Porter musical Can-Can into a showstopper that won her audience adoration and her first Tony Award. Her next musical, Damn Yankees, would prove to be one of her life-defining roles, in more ways than one. Her role as seductive, morally complicated Lola became one of her most iconic performances (earning her another Tony Award) - and it was on this show that she met Fosse, who she married five years later. Together, they went on to collaborate on iconic shows such as Sweet Charity and Chicago, where Fosse directed and Verdon starred. Although Verdon is best known in popular culture as Fosse's "muse," in reality, she was so much more than that. Her dancing talents made her one of the top dancers in the country in the 1950s and '60s, and she began working as a junior choreographer for Broadway legend Jack Cole long before she ever met Fosse. 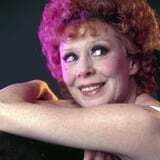 Forever in Fosse's shadow - and often uncredited for her work - Verdon put her choreographic stamp on some of the most iconic musical numbers in theatre and film history, such as Sweet Charity's "Big Spender." It was a long road to stardom for Verdon, and one that still ended in her name being permanently linked to her second husband's. Verdon grew up in California, with a father who worked as an electrician at MGM and a mother who was a former vaudevillian. Her dancing came on the heels of a childhood condition that left her with weakened and misshapen legs; the dance classes were intended to strengthen her legs and improve her carriage and posture. After a fast-moving young career, though, Verdon suddenly quit at age 17 to marry James Henaghan, a reporter. They had a son, Jimmy, who was raised by Verdon's parents after Verdon and Heneghan divorced. Verdon married Fosse in 1960, and they had a daughter, Nicole, in 1963. As Fosse/Verdon shows, Fosse was a serial cheater and had several affairs over the course of their tumultuous marriage. Although they formally separated in 1971, the couple never actually divorced, and they continued to collaborate professionally. After Fosse's death in 1987, Verdon worked with his longtime girlfriend, Ann Reinking, to ensure his legacy. But Verdon had a legacy of her own to watch, too. She was inducted into the American Theatre Hall of Fame in 1981, and in 1998, she was awarded the National Medal of Arts. Over the course of her theater career, she won four Tony Awards, plus a Grammy as a lead vocalist on the cast album of Redhead. Verdon died in the early hours of Oct. 18, 2000, after suffering a heart attack in her sleep. That night, Broadway dimmed all its lights in honor of the legendary performer.